Evan Nesbit, “Pear”, 2017. Image courtesy of Romer Young Gallery. 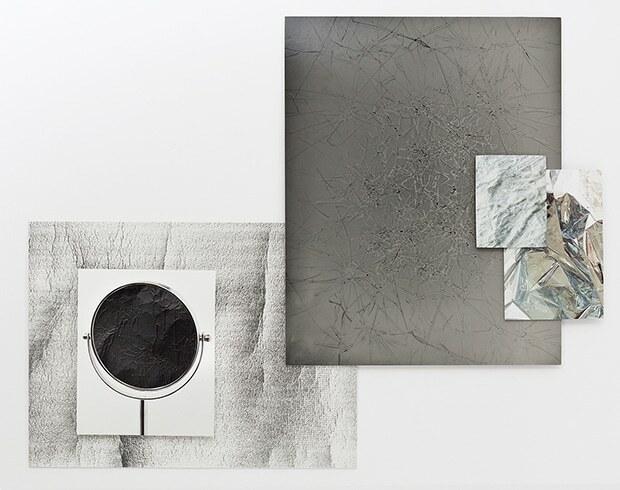 January 4th- February 17th- Evan Nesbit, Perishable Gestures at Romer Young Gallery: Perishable Gestures features Evan Nerbit’s new series of paintings that are made using acrylic and ink jet on perforated vinyl fabric. Nesbit’s recent paintings are made using .jpegs printed in UV curable ink on vinyl coated mesh fabric as the site for performativly gestural abstractions. 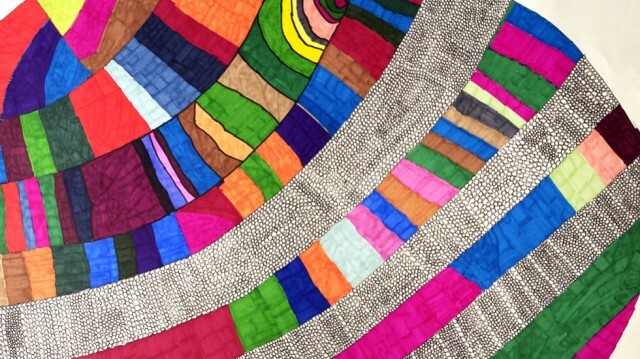 Working from both sides of the fabric, the artist pushes and drags brightly colored acrylic hues through its voids using his hands and large rubber squeegees. 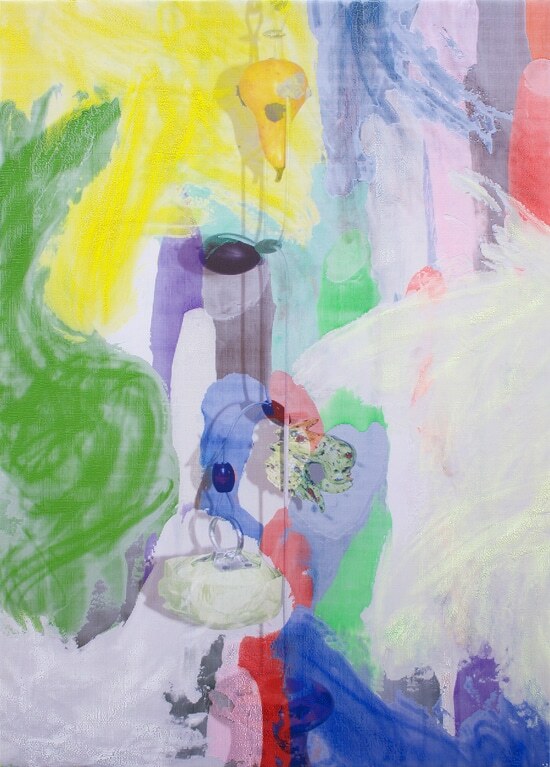 The result is a series of striking paintings that arouse the tactile, haptic sensibilities of the viewer. Vibrant, textured, meticulously executed visual experiences, the paintings can only be truly seen and comprehended in the real world, standing in their immediate presence. These paintings offer a suspended visual exchange that draws focus from the trace of basal gestures marked by the artist’s body to the subtle interactions of color and dappled light as they effect both the emergence and dissolution of embedded imagery within each painting. Romer Young Gallery is located at 1240 22nd Street. Image from last years event. Image courtesy of SF MoMA. 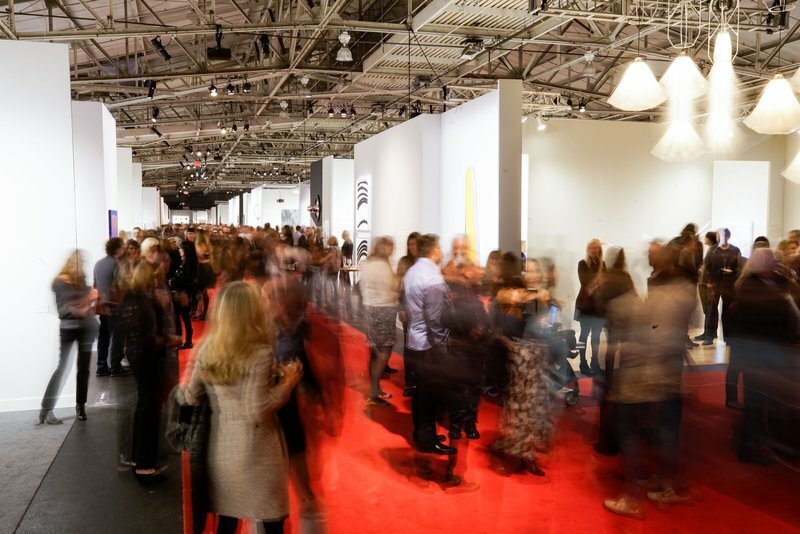 January 10th and 11th to 14th- FOG Design+Art Preview Gala and Fair in the Festival Pavilion at Fort Mason Center: FOG Design+Art is one of San Francisco’s premier modernism fairs. The fair will feature forty-five prominent twentieth-century and contemporary design dealers, a selection of leading modern and contemporary art galleries, and a weekend of exciting programs. The San Francisco Museum of Modern Art will be the beneficiary of the FOG Preview Gala where you can enjoy early access to shop the vast range of design objects, exquisite furniture, and fine art before San Francisco’s premier modernism fair opens to the public. All Preview Gala guests will enjoy an evening full of entertainment, fare, and cocktails by design, unlimited fair admission, including full access to all panel discussions and lectures during fair hours. Your support will continue to make exhibitions and education programs possible. The Festival Pavilion at Fort Mason Center is located at 2 Marina Blvd. 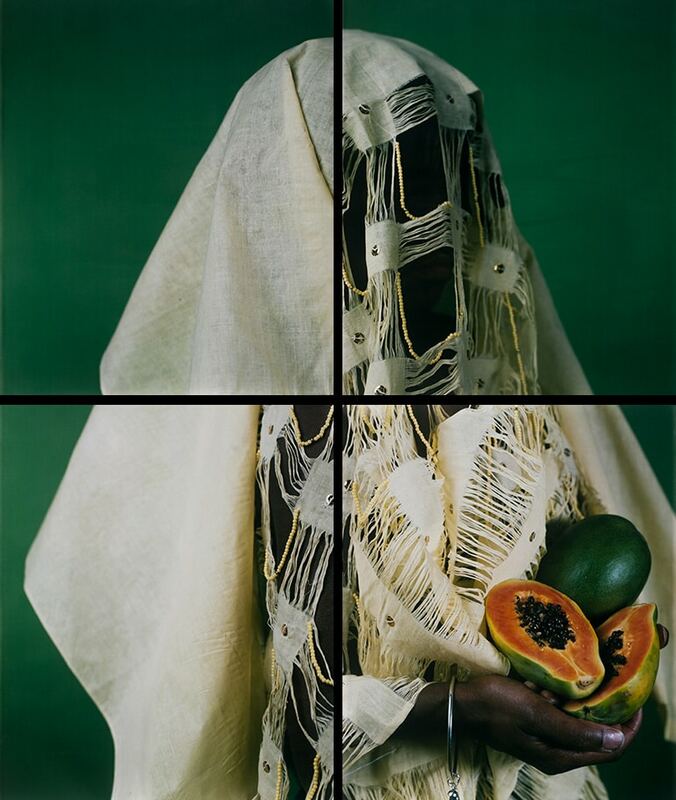 María Magdalena Campos-Pons, “Bum Bim Lady y La Papaya”, 2017. Image courtesy of Wendi Norris Gallery. January 9th to 28th- If I Were A Poet, María Magdalena Campos- Pons is presented by Wendi Norris Gallery at Presidio National Park: Cuban-born artist María Magdalena Campos-Pons addresses the unique and resilient nature of the Afro Cuban diaspora through photography, sculpture, performances, and video installations. If I Were A Poet presents works ranging from 1990 to 2017, including three major installations, rare large-format Polaroid photographs, and a performance work. In the performance work titled Remedios, Campos-Pons negotiates narratives of pain, loss and resilience while imagining herself in a time of societal and geopolitical transition. During her singular meditation on survival, the artist wears a costume that she designed and made by hand. The exhibit is located in the Presidio National Park, 649 Old Mason Street. Photo from last years event. Courtesy of Untitled, Art. 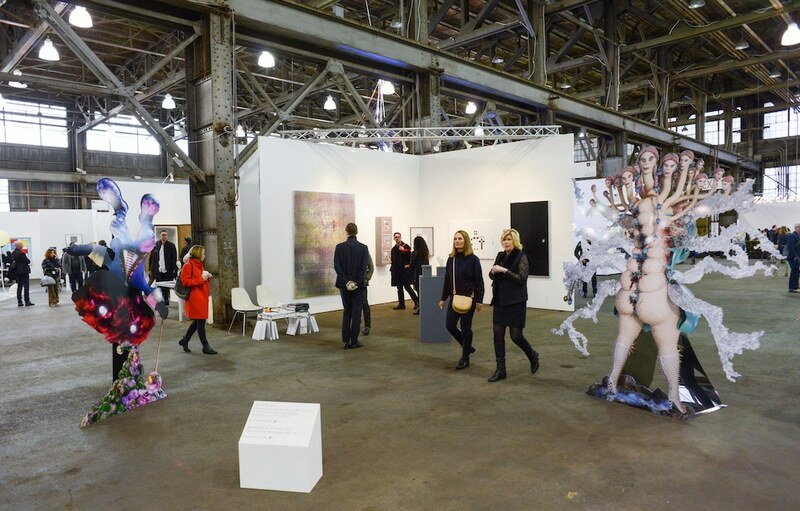 January 12th, 13th & 14th- Untitled, Art Fair at The Palace of Fine Art: Untitled, Art is an international, curated art fair founded in 2012 that focuses on curatorial balance and integrity across all disciplines of contemporary art. Untitled, Art innovates the standard fair model by selecting a curatorial team to identify and curate a selection of galleries, artist-run exhibition spaces, and non-profit institutions and organizations, in dialogue with an architecturally designed venue. The Palace of Fine Art is located at 3601 Lyon Street. Jennifer Brandon, “Formation”, 2016. 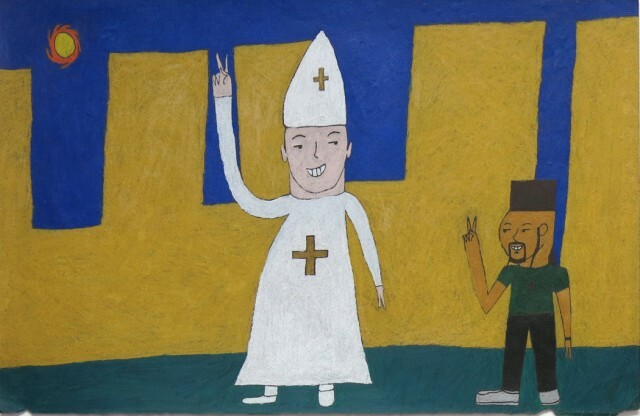 Image courtesy of Mills College Art Museum. January 17th to March 11th – Jennifer Brandon & Jay DeFeo at Mills College Art Museum: This exhibition presents new work by Bay Area photographer Jennifer Brandon, shown in conjunction with rarely seen photocopies and photographs by the ground-breaking visual artist Jay DeFeo. Featuring approximately 40 works, including photograms, pho collages, and silver gelatin prints this exhibition explores each artist’s interest in the intersection of physical materials and photographic process. The Mills College Art Museum is located at 5000 MacArthur Blvd in Oakland. Opening Reception: Wednesday, January 17th, 6- 8 pm. 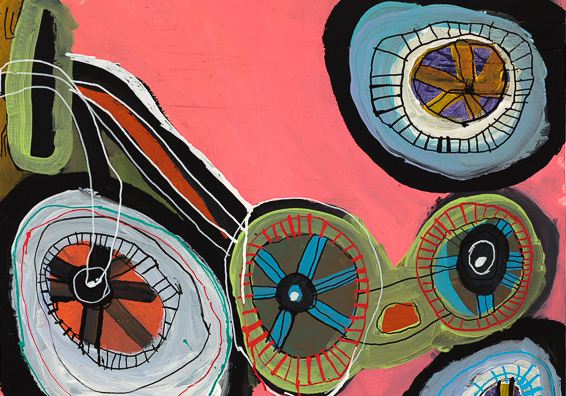 Andrew Schoultz, “Radiating Eye”, 2013. Image courtesy of Hosfelt Gallery. 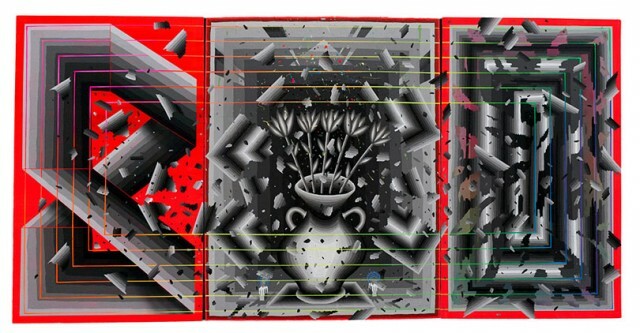 Ongoing to January 20th- Andrew Schoultz: Illuminated Opposition at Hosfelt Gallery: Andrew Schoultz brings his signature street-savvy style to a new body of work that questions the meaning and function of public space and the nature of political discourse. With an emphasis on the formal vocabulary of abstraction, Schoultz exposes the ways in which meaning is manipulated and perception skewed as the locus for civic debate has shifted from the town plaza to the isolated, anonymous realm of cyberspace. Hosfelt Gallery is located at 260 Utah Street. Binh Danh, “Yosemite Falls”, 2014. Image courtesy of SF Camerawork. Ongoing to January 27th- Landmark: Yosemite Through the Lens of Contemporary Landscape Photography at SF Camerawork: SF Camerawork presents Landmark: Yosemite Through the Lens of Contemporary Landscape Photography in celebration of the National Park Service centennial. This is a traveling exhibition, with works by Binh Danh, Mark Klett & Byron Wolfe, Ted Orland, Millee Tibbs, and Jerry Uelsmann. Landscape photography is uniquely wedded to the National Parks, and specifically to Yosemite. Many famous photographers have had a storied history with Yosemite- their work not only shares and celebrates the landscape’s grandeur, but also examines our relationship to wilderness and conservation. 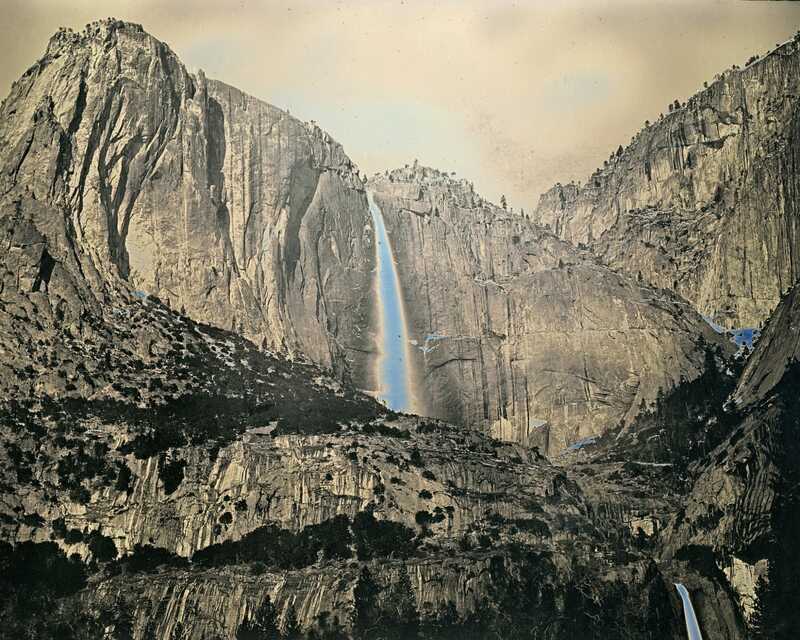 The contemporary artists selected for this exhibition bring new representation and varied voices to the genre of landscape photography, strengthening the rich relationship between the medium and Yosemite, while also blazing new conceptual and technical ground with their work. SF Camerawork is located at 1011 Market Street, 2nd Floor. Dec 1, 2014 In: To Do List Tags: Andrew Schoultz, Creative Growth Art Center, Creativity Explored, Hosfelt Gallery, NIAD Art Center Creativity Explored, Root Division, The Bedford Gallery, The Jealous Curator By: ArtSource Inc. Pieces by Hollie Chastain, Rachel Denny, and Jennifer Davis featured in the exhibition. Courtesy of The Bedford Gallery. December 7 – February 1, 2015 – The Jealous Curator: From Blog, To Book, To Gallery at The Bedford Gallery: The Jealous Curator is internationally renowned art blogger Danielle Krysa, and with this exhibition The Bedford Gallery brings her blogosphere into the gallery. The exhibition is designed to enlighten, inspire, and chase away creative blocks that inhibit the artist in all of us. The exhibition features art in a variety of media from artists across the U.S. and Canada as well as art-making stations designed by the artists. The opening reception is Sunday, December 7th from 3-5pm. The Bedford Gallery is located at 1601 Civic Drive, Walnut Creek. 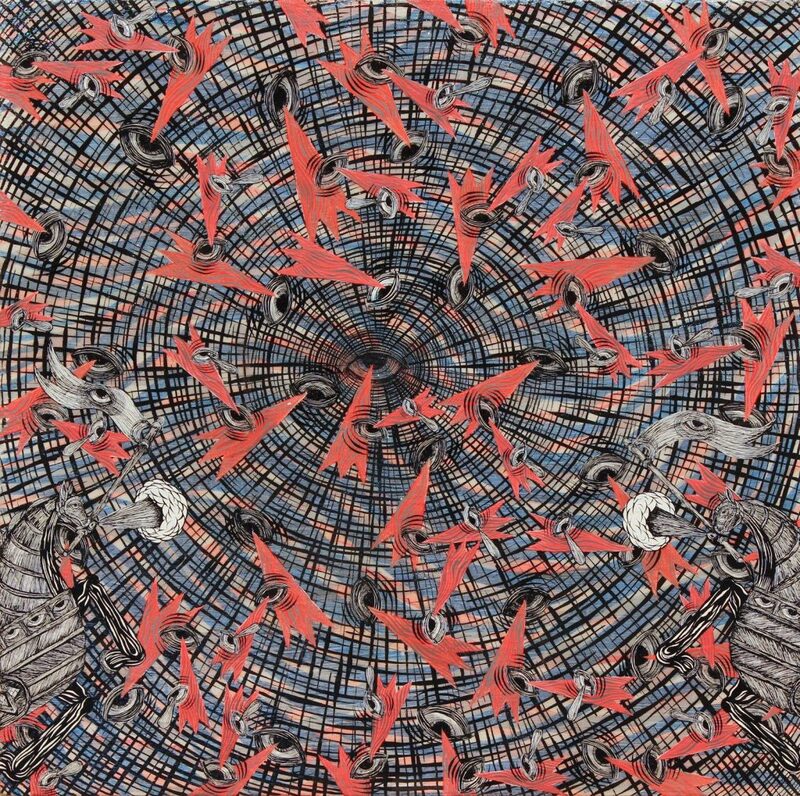 December 13 – January 24, 2015 – Andrew Schoultz: Blown to Bits at Hosfelt Gallery: This exhibition will transform Hosfelt Gallery with an installation of sculpture, paintings and works on paper. Schoultz combines familiar symbols from his visual language with conventions of formalism he’s taken from art history to express his dystopian vision. His new works feature borders of concentric lines that reference the margins of Persian miniature paintings and illuminated manuscripts or modern geometric abstraction. These borders frame and overlap Schuoltz’s exploding narrative imagery. The opening reception is Saturday December 13th, 4-6pm. Hosfelt Gallery is located at 260 Utah Street in San Francisco. 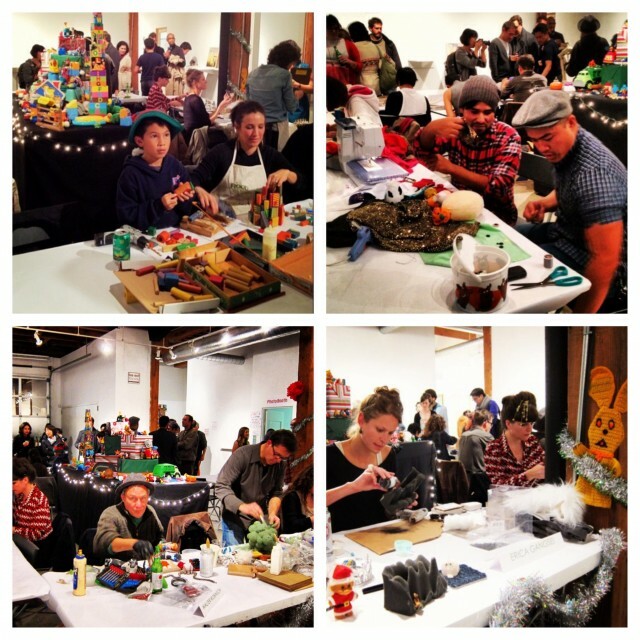 December 13 – 18 – Root Division’s Misfit Toy Factory: Founded in 2002, Root Division is a visual art non-profit that connects creativity and community through a dynamic ecosystem of arts education, exhibitions, and studios. This event is an evening of lively art making featuring over 40 artists making sculptures, toys, and gift-ables onsite in Root Division’s gallery space. All items made that night are for sale for $40, any unsold pieces will be available through December 18th. Saturday, December 13th from 6 – 10:30pm. Root Division is located at 1059 Market Street in San Francisco. Jonathan Velazquez, Untitled, ink on paper. Courtesy of NIAD Art Center. Ongoing to December 23rd – Deck The Walls 2 and The Holiday Lounge at NIAD Art Center: NIAD Art Center is pleased to present Deck The Walls 2: Our Super-Affordable Exhibition, a group show in their main gallery. The exhibit features hundreds of drawings from their artists, all for $40 each. Once again NIAD is filling their storefront space with seasonal items and unique gifts: quilts, jewelry, clothing, baskets, wall hangings, sculptures, dinnerware and more. The Holiday Lounge also features comfy chairs, hot chocolate and a record player spinning Christmas albums. NIAD Art Center is located at 551 23rd Street in Richmond. Regular gallery hours are Monday – Friday, from 9am – 4pm, Saturdays from 11am – 3pm. Gerone Spruill, Untitiled, acrylic on paper. Courtesy of Creative Growth Art Center. December 5 – January 8, 2015 – Vice + Virtue at Creative Growth Art Center: Vice + Virtue is Creative Growth Art Center’s annual Holiday exhibition exploring the blurry line between good and evil. This studio sale and exhibition features 100 + artworks as well as one-of-a-kind textiles and hand-upholstered furniture, ceramics, rugs, mosaics, wood, drawings and paintings, prints and more. The opening reception is Friday December 5th from 5:30 – 9pm. Creative Growth Art Center is located at 355 24th Street in Oakland. Regular gallery hours are Monday – Friday 10am – 4:30pm, Saturdays 10am – 3pm. Pablo Calderon, Tricycle, acrylic and marker on wood. Courtesy of Creativity Explored. December 5 – 31 – Annual Holiday Art Sale at Creativity Explored: This year Creativity Explored is giving 20% off all original artwork at their annual Holiday Art Sale. The studio is filled with original art prints, paintings, drawings, ceramics, sculptures, and textiles by over 135 artists–including unique pieces saved for this very occasion. The opening reception is Friday, December 5th from 6 – 9pm. Holiday gallery hours are Monday – Wednesday, 10am – 3pm, Wednesday – Friday 10am – 7pm, Saturday – Sunday, 12pm – 5pm. Creativity Explored is located at 3245 16th Street in San Francisco.